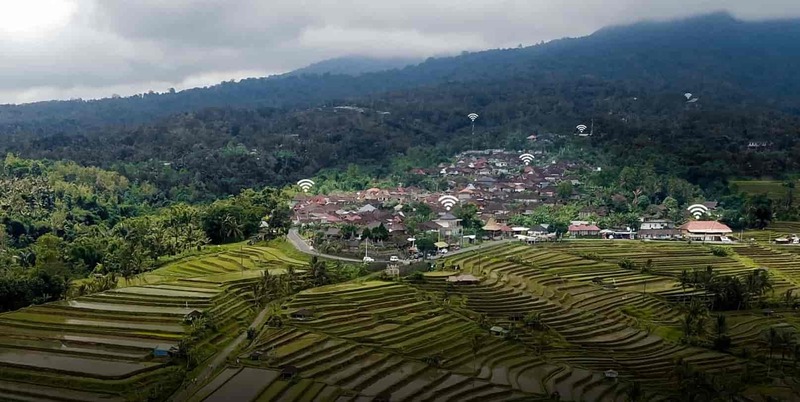 Kacific Community WiFi lets you build networks of high-speed WiFi hotspots to provide internet to local communities and tourists in bite-sized packages with an easy prepaid voucher system. 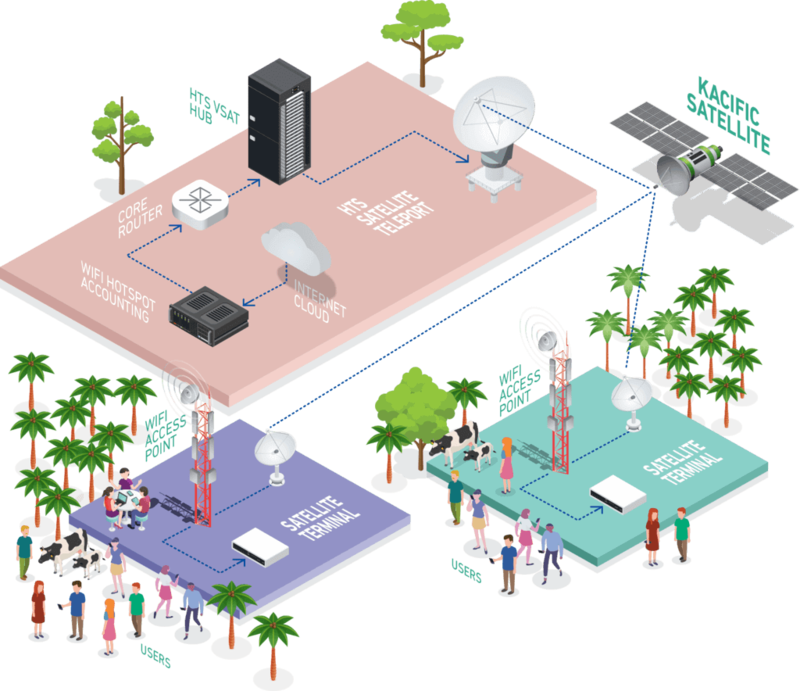 Kacific Community WiFi lets you build networks of high-speed WiFi hotspots to provide internet to local communities and tourists in bite-sized packages with an easy prepaid voucher system. Small, easy-to-install satellite dishes let you share Kacific wholesale bandwidth, selling it through local shops, cafes, resorts and communities. You can connect people in even the most remote places and allow them to roam between hotspots. Your customers will purchase prepaid internet online or with a voucher, making revenue collection risk-free, fuss-free and transparent. People can use the data they purchase in any of your Kacific Community WiFi locations, so you enjoy all the benefits of owning a mobile network without having to invest in expensive infrastructure, file costly spectrum licenses or reckon with customer churn. Your customers will enjoy wide coverage, flexible data purchasing, an easy pre-pay model and no long-term commitments. The result: eager customers drawn to a low-cost service offering most of the advantages of a mobile network, without the risk and without the cost. Your own WiFi Access Point: a wireless router with a built-in voucher billing system.